For the 5th stop „Handmade in Germany“ is bringing its exhibition of German design and handcrafted products to Shenzhen. After the presentation of “Handmade in Germany” at the world’s largest design fair, the exhibition will be on display in the Design Museum of Shenzhen from the end of November until January 2017. The Chinese city, which is often described as a boomtown, is located in the province of Guangdong and is a significant pillar of the Chinese economy. To its south, Shenzhen directly borders on Hongkong. Due to this vicinity and the city’s status as a special administrative zone, Shenzhen is an important city for foreign investments and the most rapidly growing city in the world. Shenzhen has the highest per capita income in China and, with its population of more than 12,5 million inhabitants, counts as one of the four most important trading and financial metropolises in China. The modern metropolis not only attracts a mix of business people, investors and innovators. 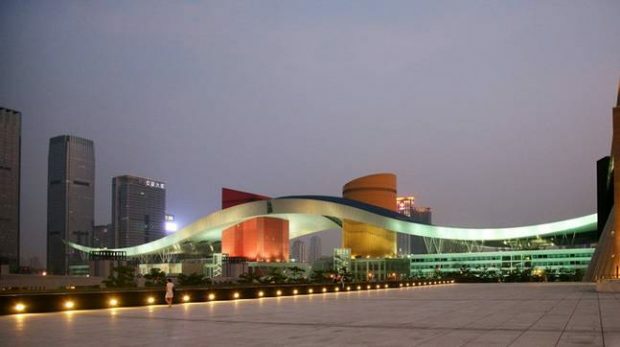 Shenzhen is also a major Chinese design hub, which was awarded the title „City of Design“ by UNESCO in 2008. It is for that reason, that „Handmade in Germany“ will be shown on several occasions in Shenzhen. To start off, the exhibition will be shown at the Shenzhen International Design Fair SZIDF. The fair is one of the biggest design fairs in the world, presenting the newest products, materials and technologies to retailers and distributors. Right after the participation at the SZIDF, „Handmade in Germany“ will move to the Shenzhen Industrial Museum. The Shenzhen Industrial Museum is situated in the heart of the city in the Futian district, next to the city’s government in the middle of what has become Shenzhen’s influential business and financial hub. The museum is the central location for the documentation of the city’s rapid industrial success and its cultural development – with a huge design section. The „Handmade in Germany“-exhibition starts in late November and will be on display for more than a month. During the exhibition, „Handmade in Germany“ will participate in several design related events taking place in the city, such as the Shenzhen International Industrial Design Festival.